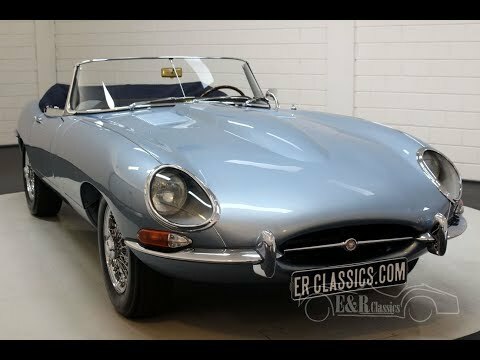 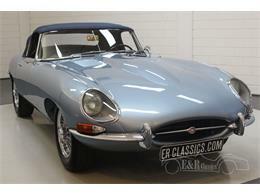 This beautiful Jaguar E-type Series 1 Cabriolet with 3.8 liter engine was built in 1962. 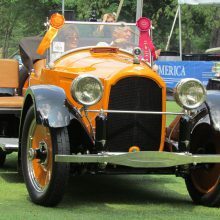 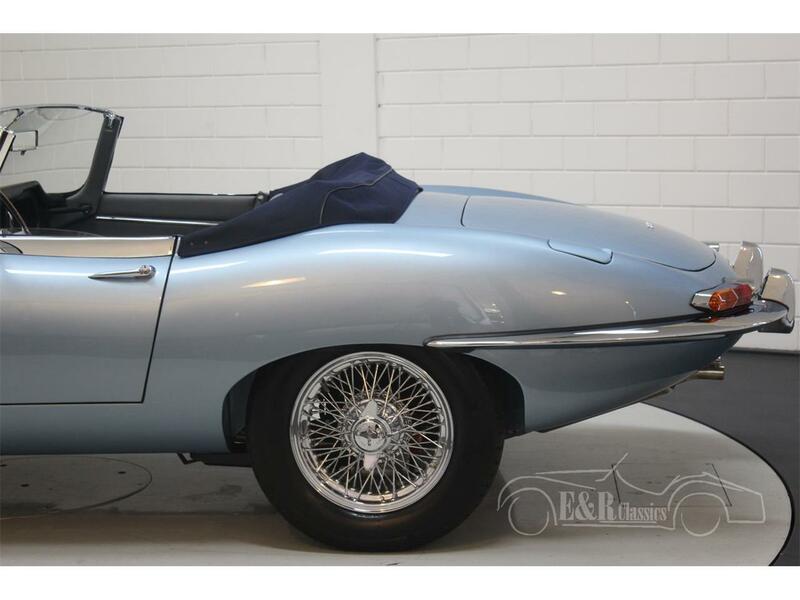 This car was restored by the loving owner in the period 2015-2016, while retaining various original parts. 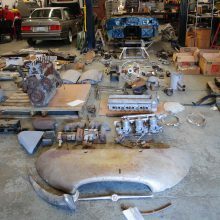 A photo report of this restoration is available. 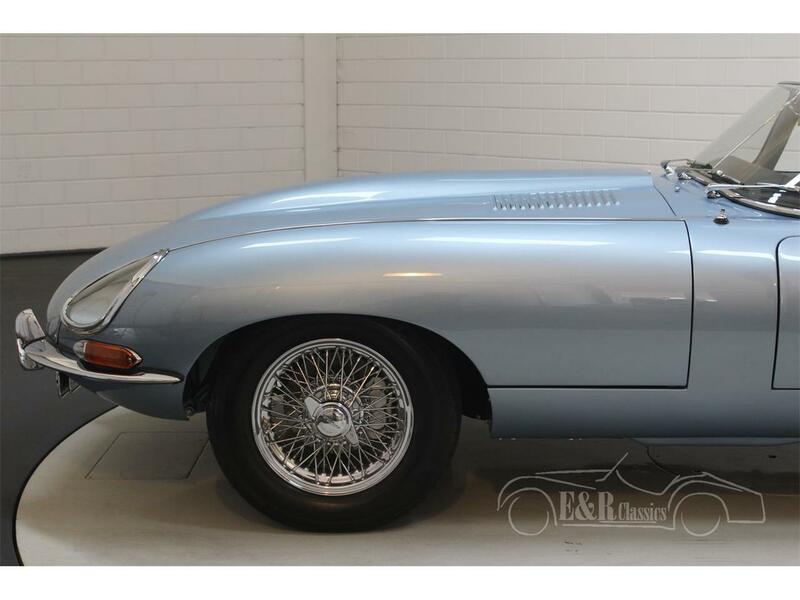 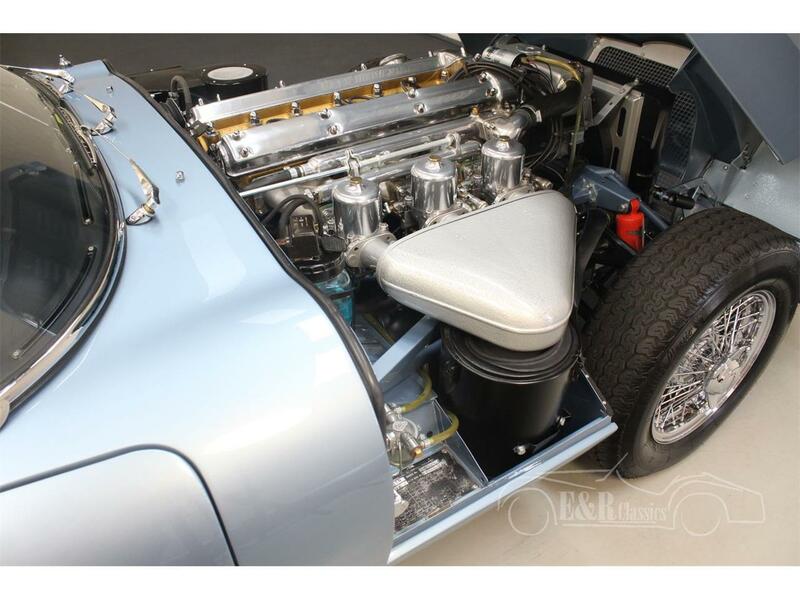 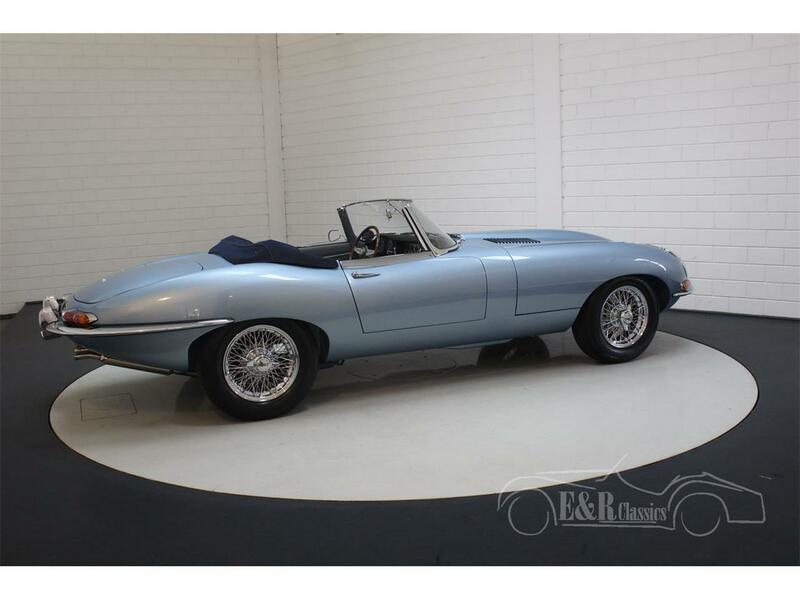 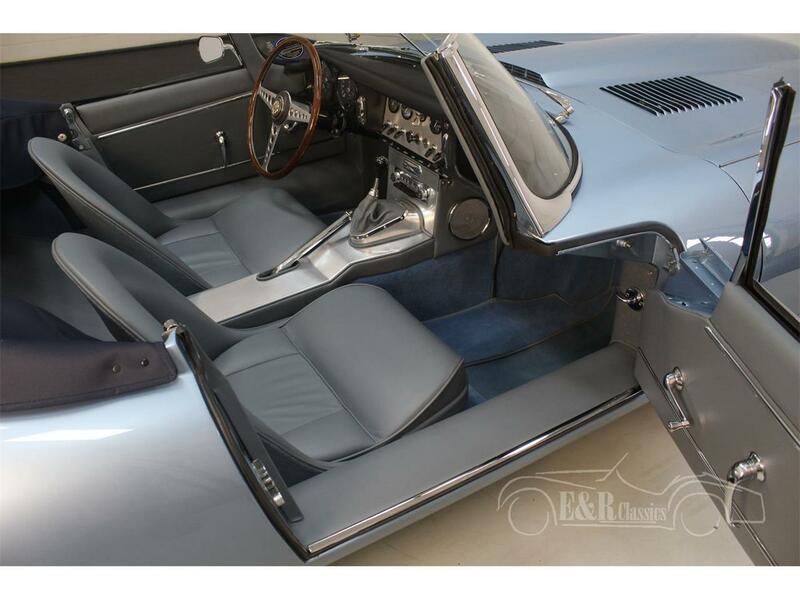 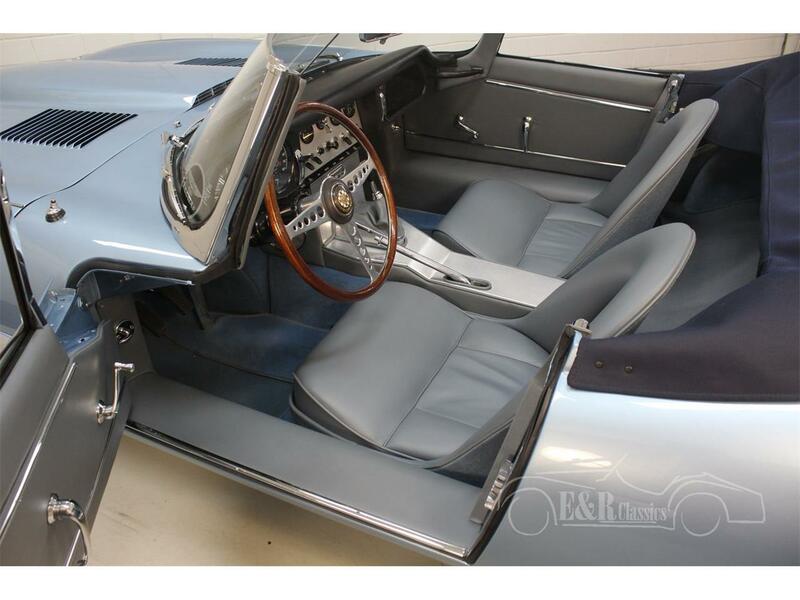 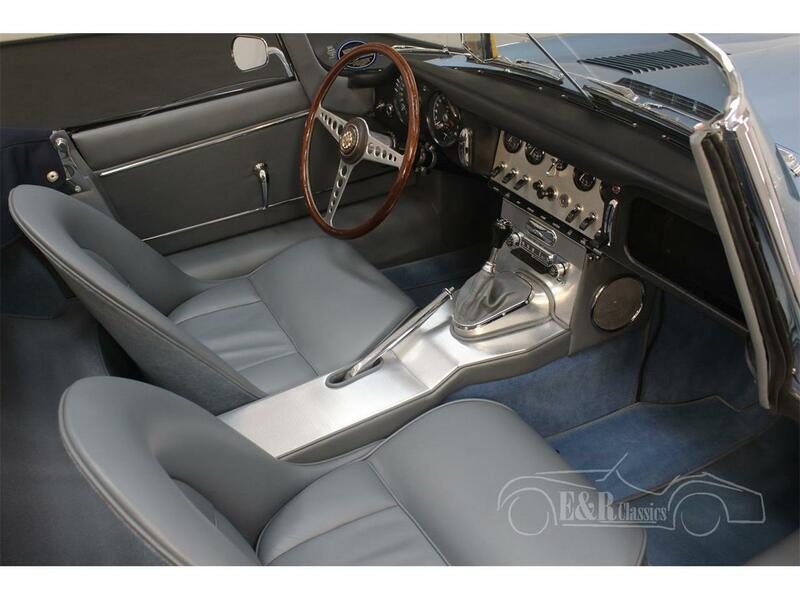 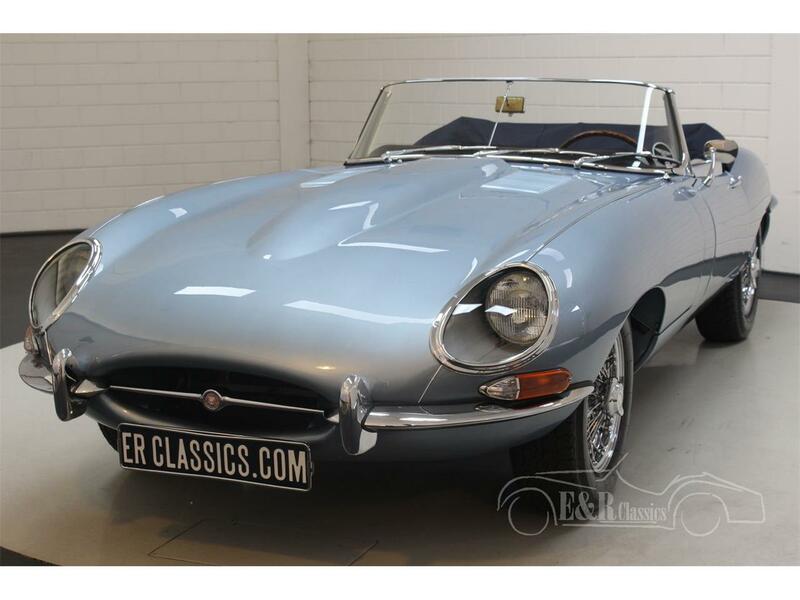 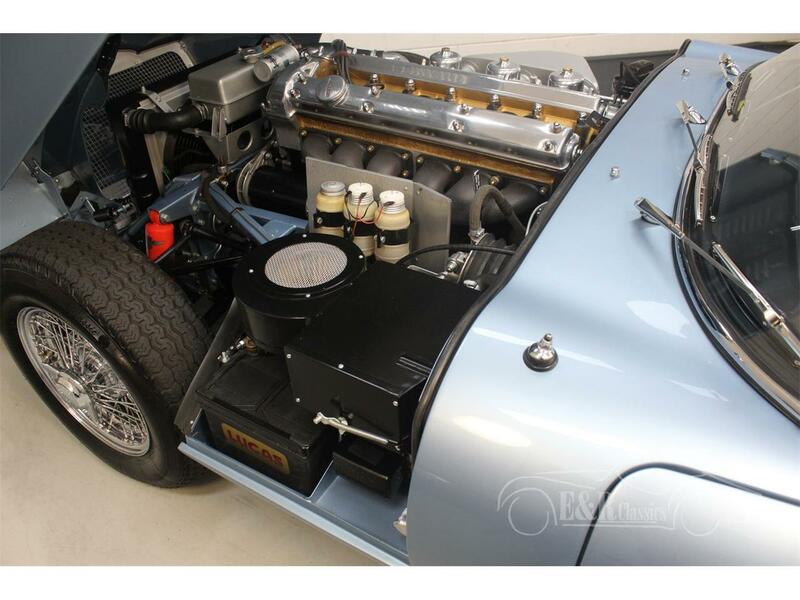 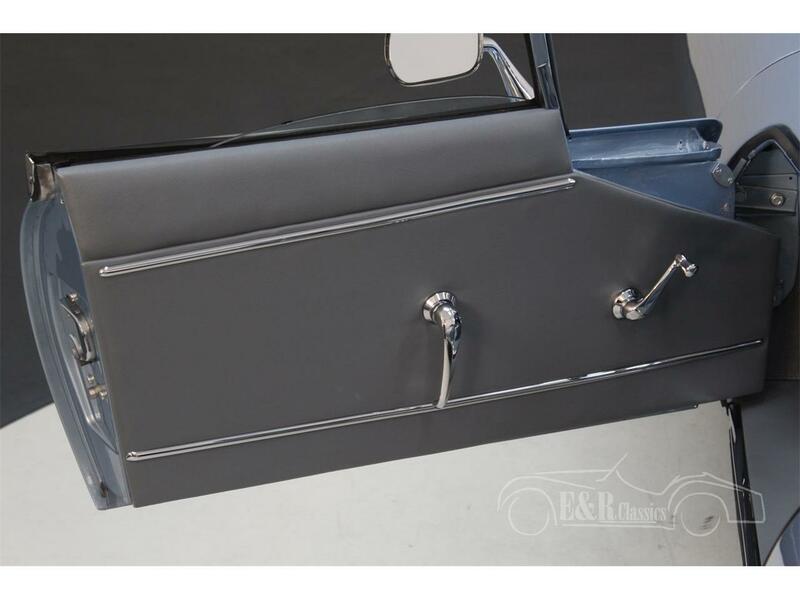 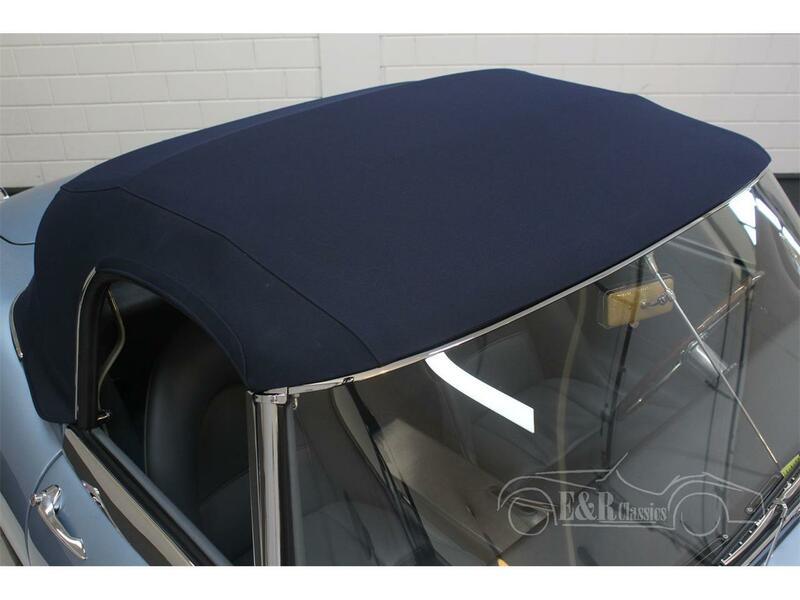 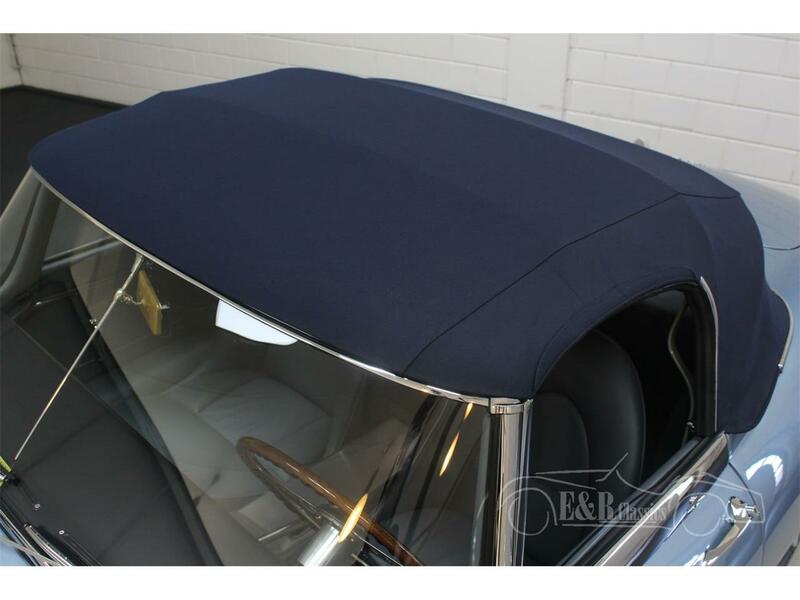 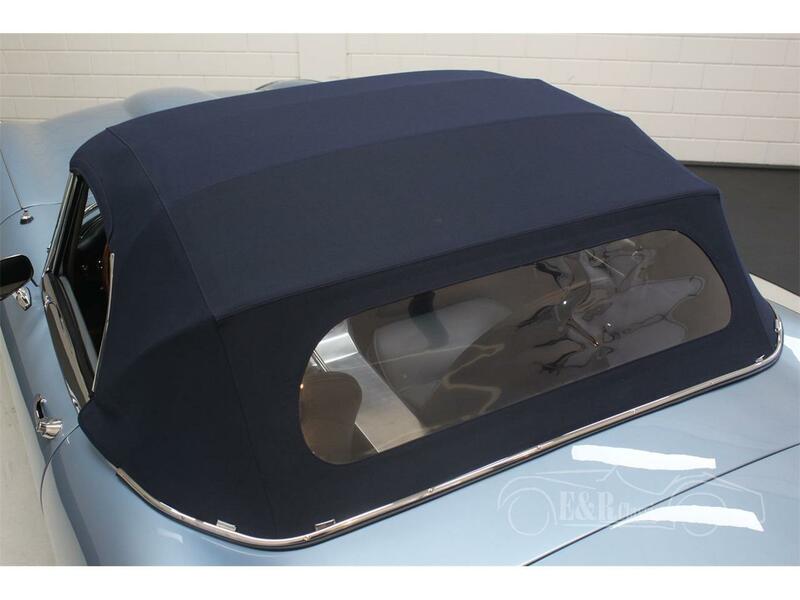 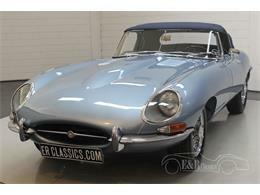 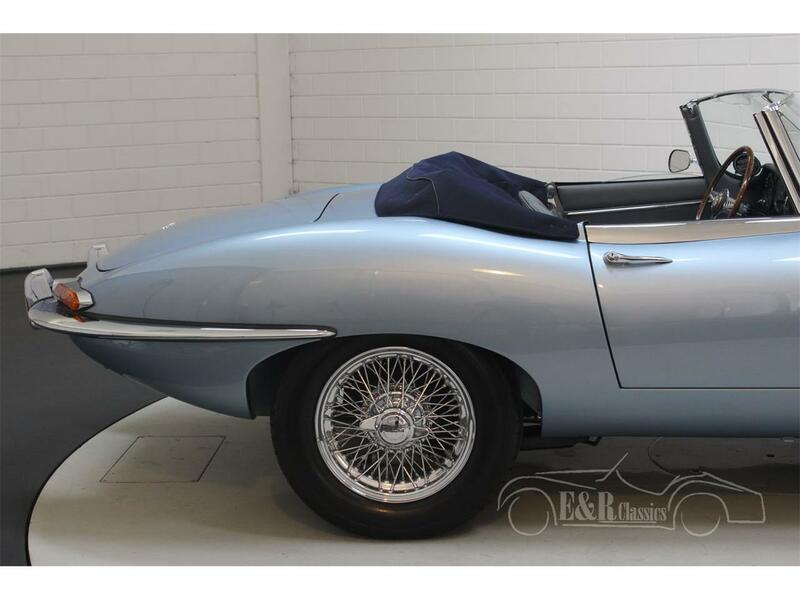 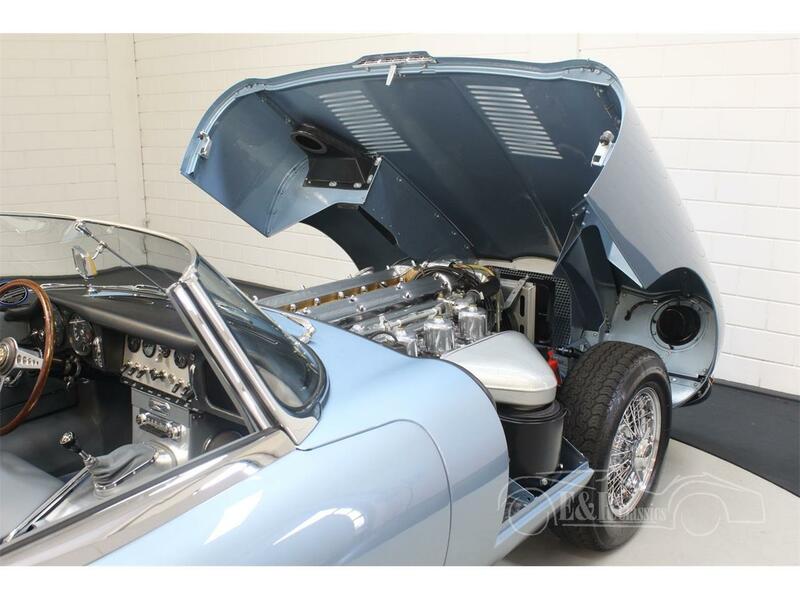 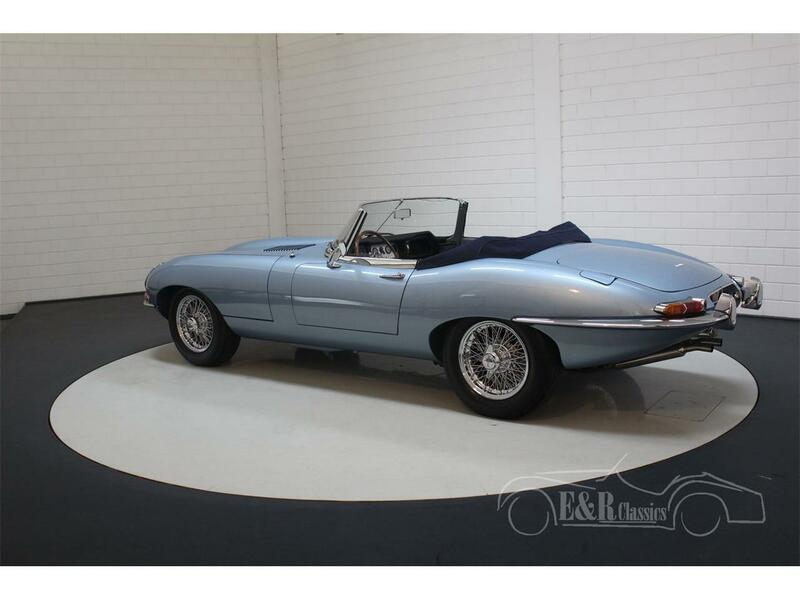 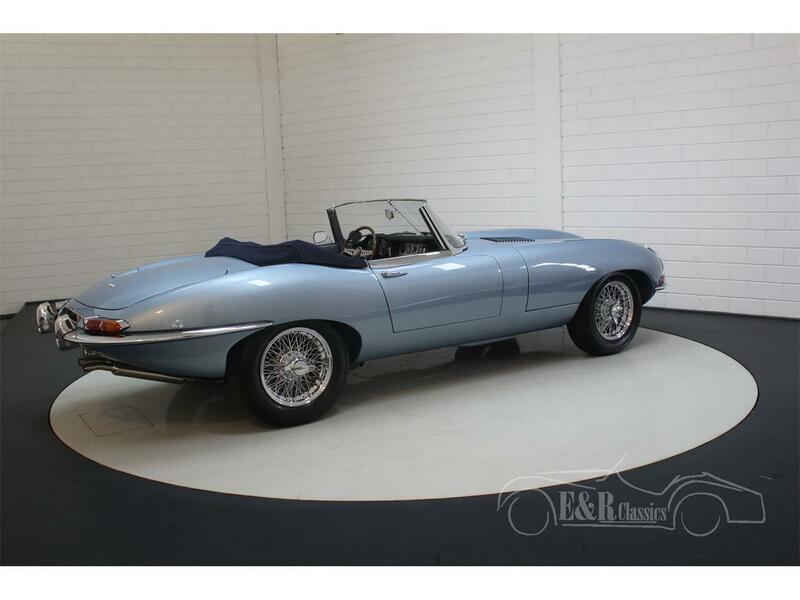 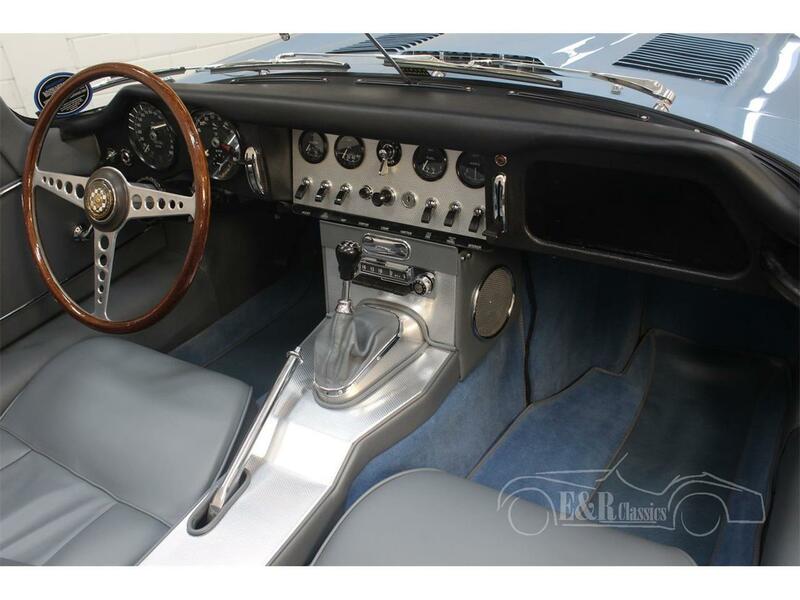 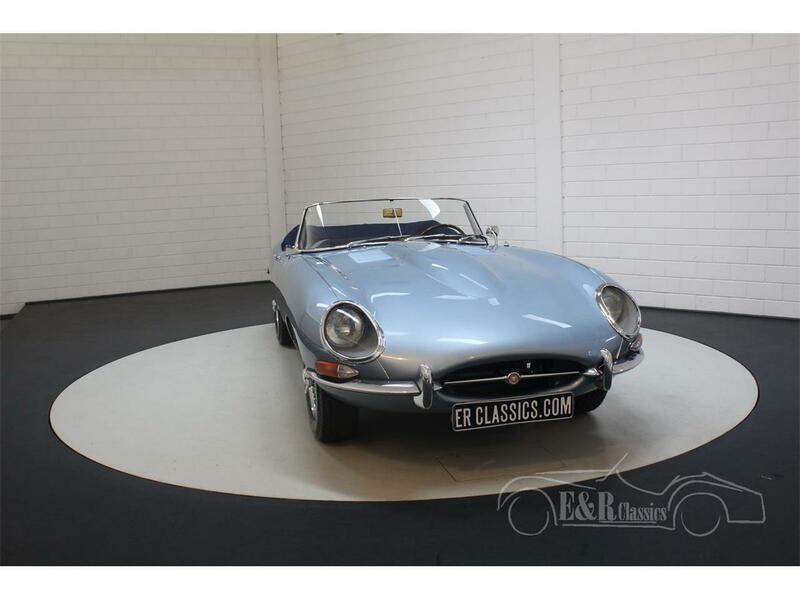 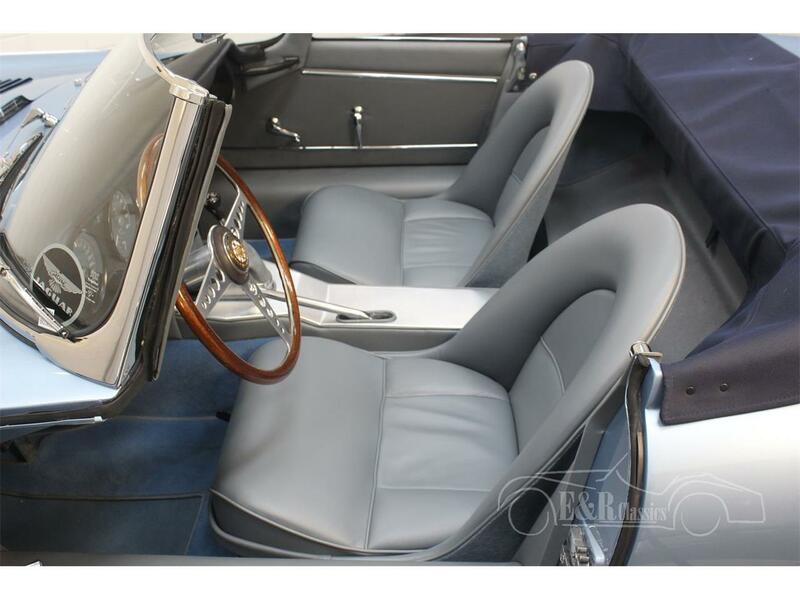 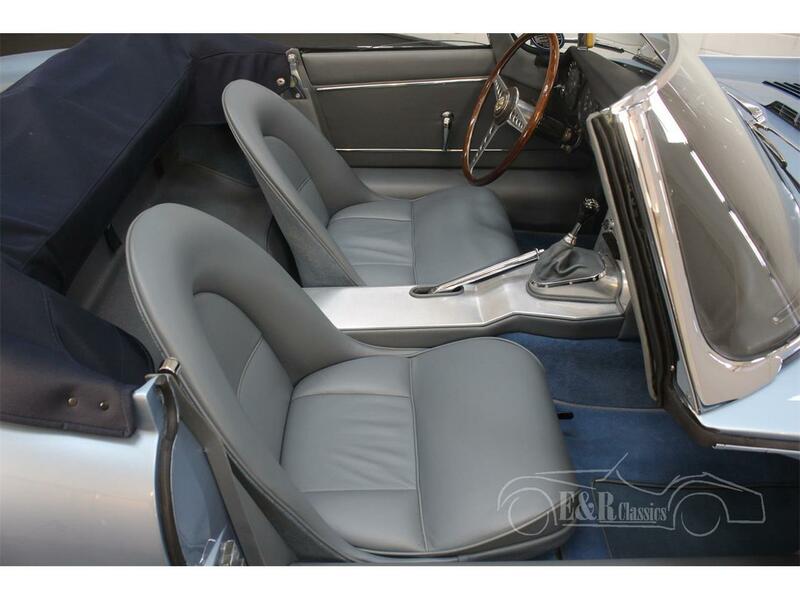 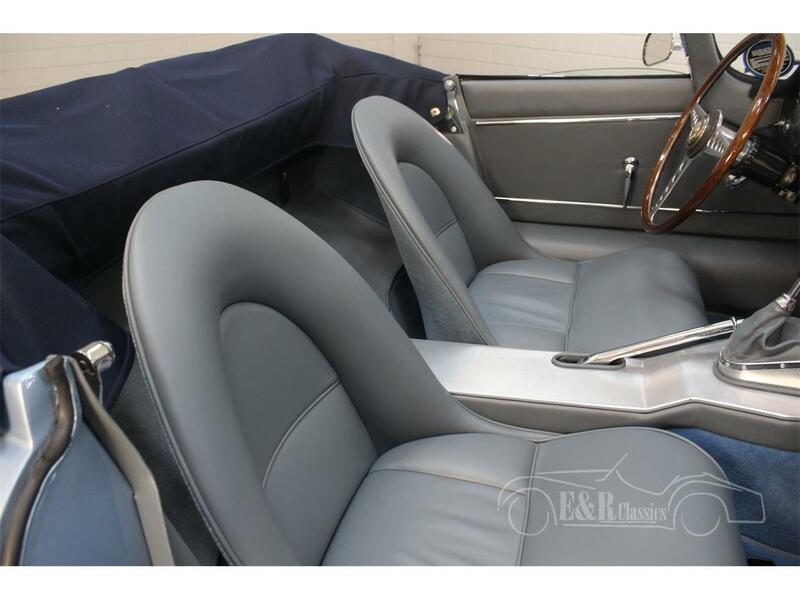 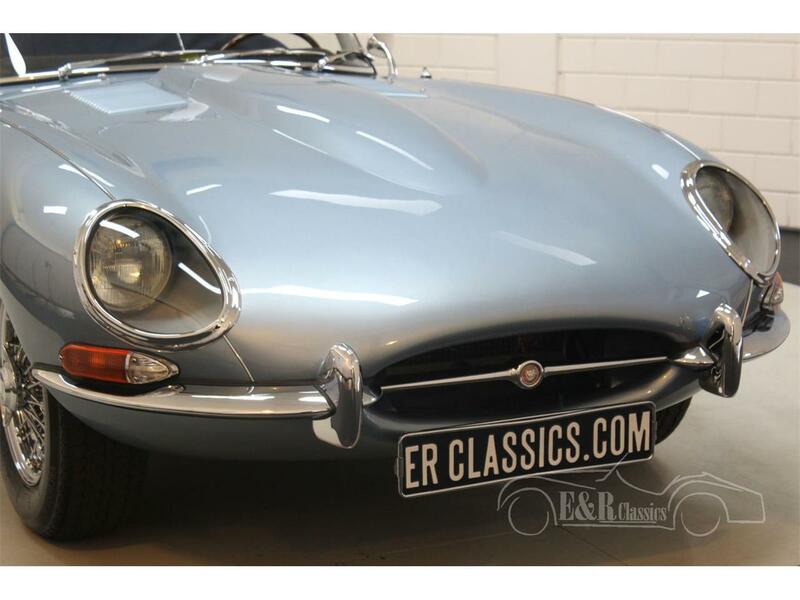 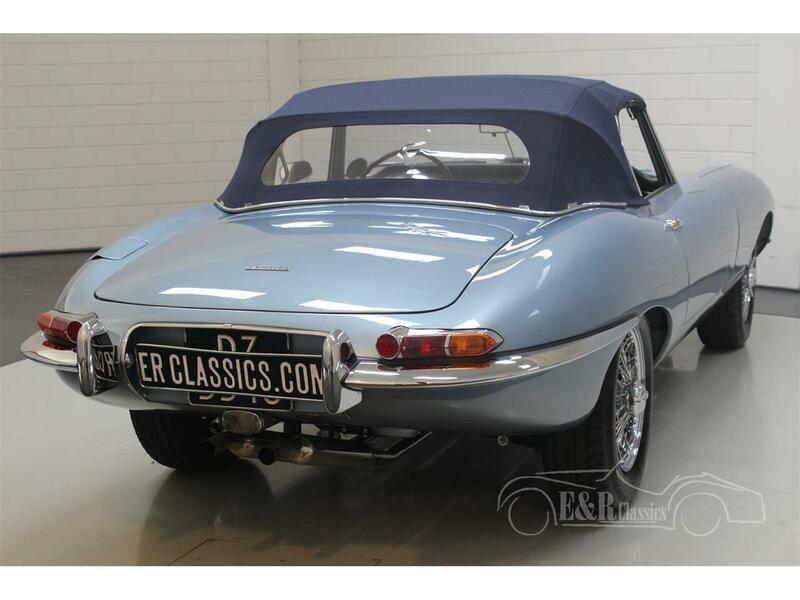 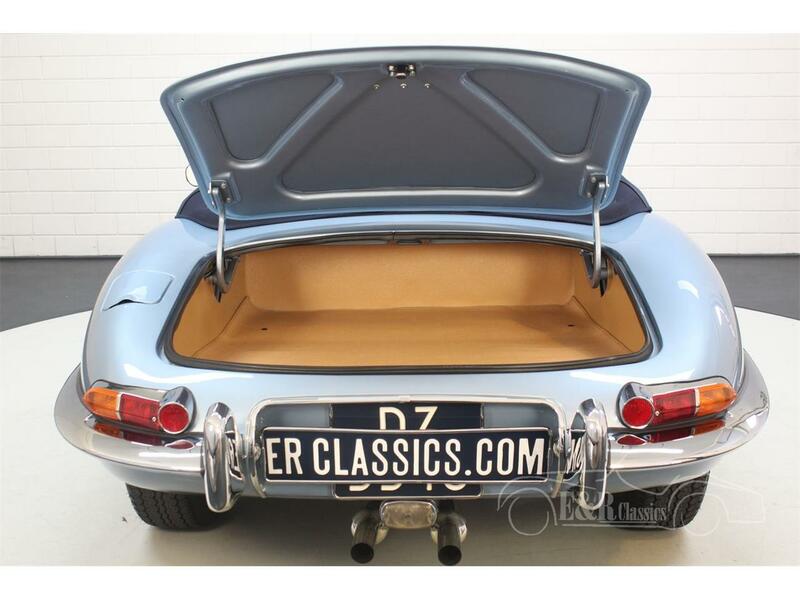 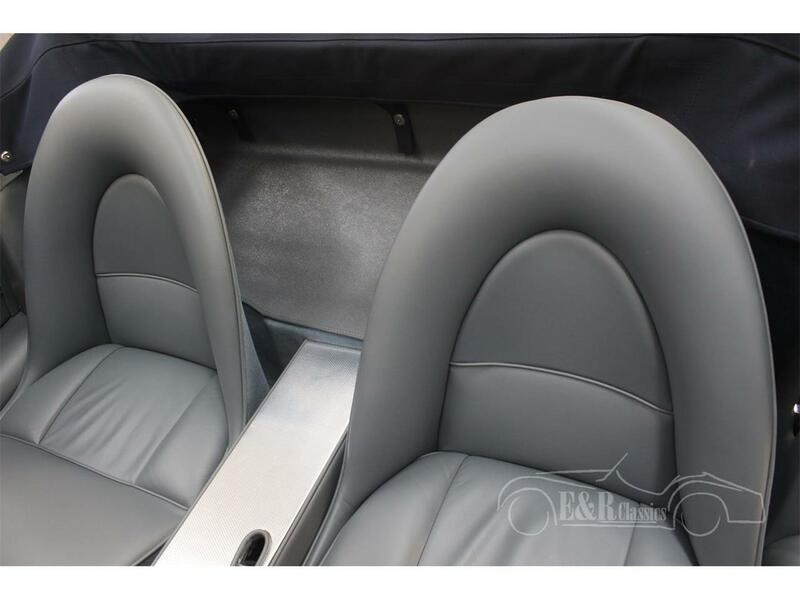 The paint of this E-type is Opalescent Silver Blue in colour, combined with a dark blue Sonnenland soft-top, beautiful chrome work and a light blue / grey leather interior. 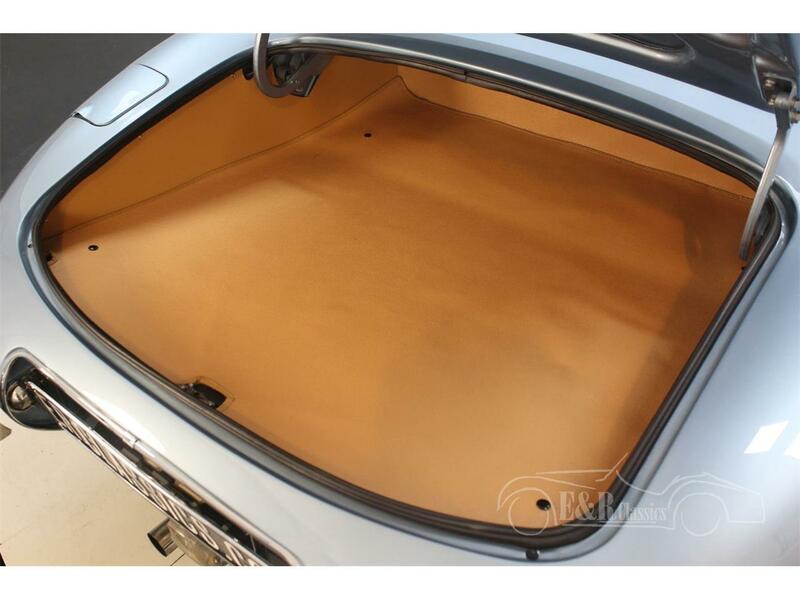 The same colour combination as when this E-type Cabriolet was newly built. 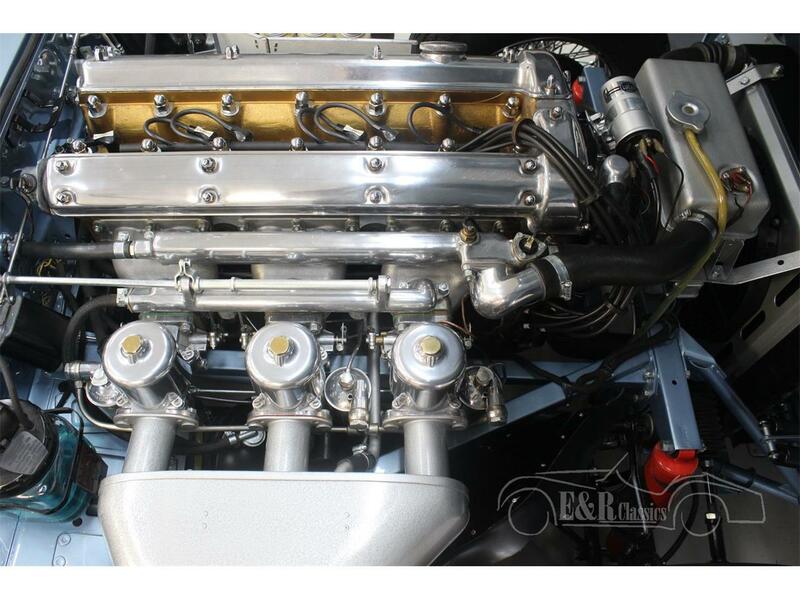 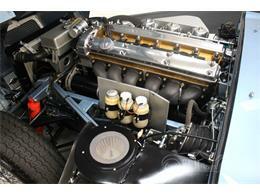 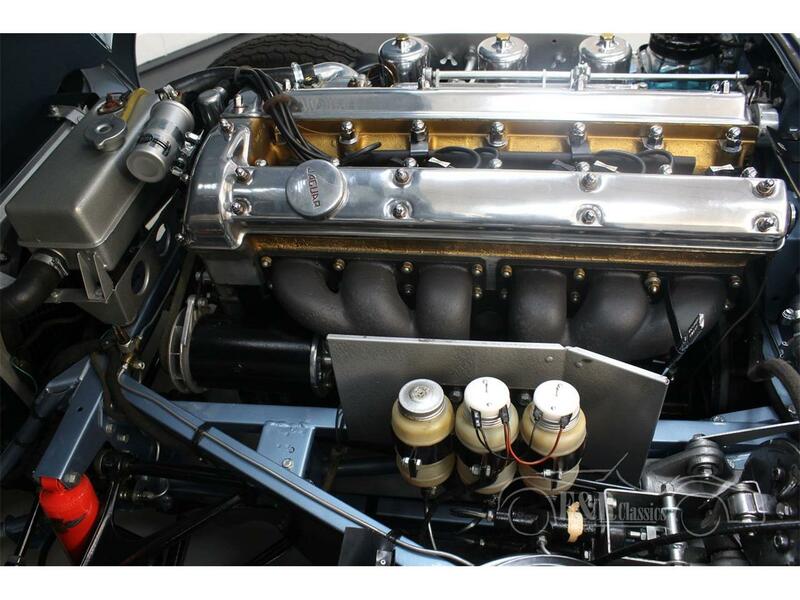 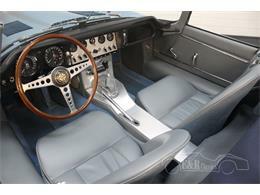 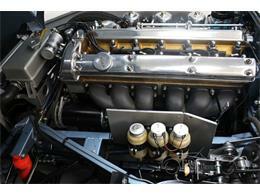 The Jaguar is powered by the matching numbers 3781cc six-cylinder engine that is linked to the manual gearbox. 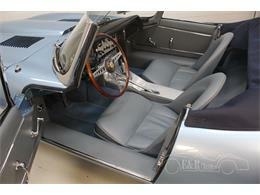 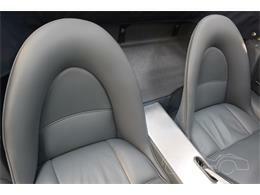 Since the restoration, the car has been driven to a limited extent and is therefore in good condition. 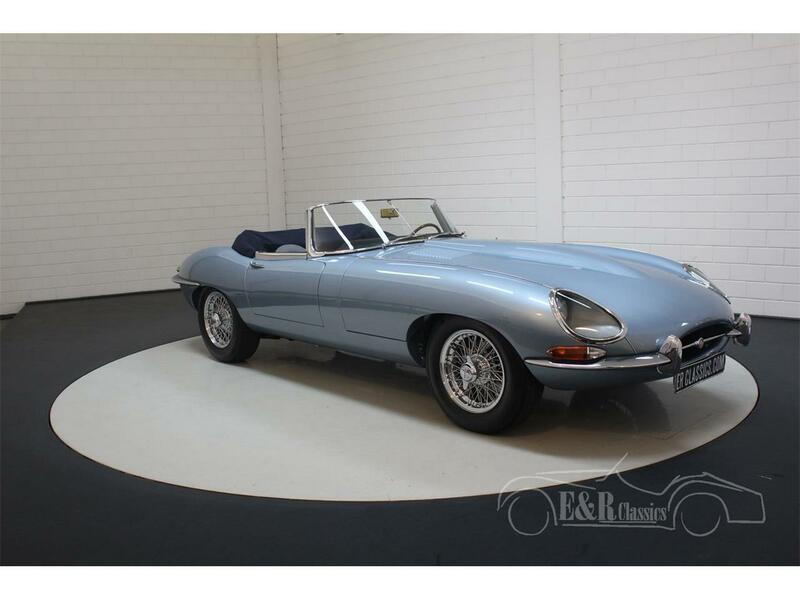 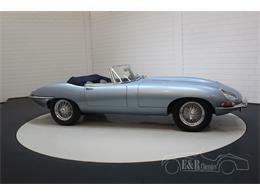 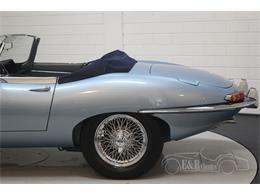 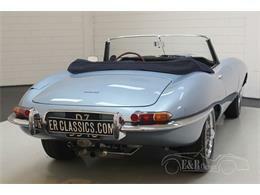 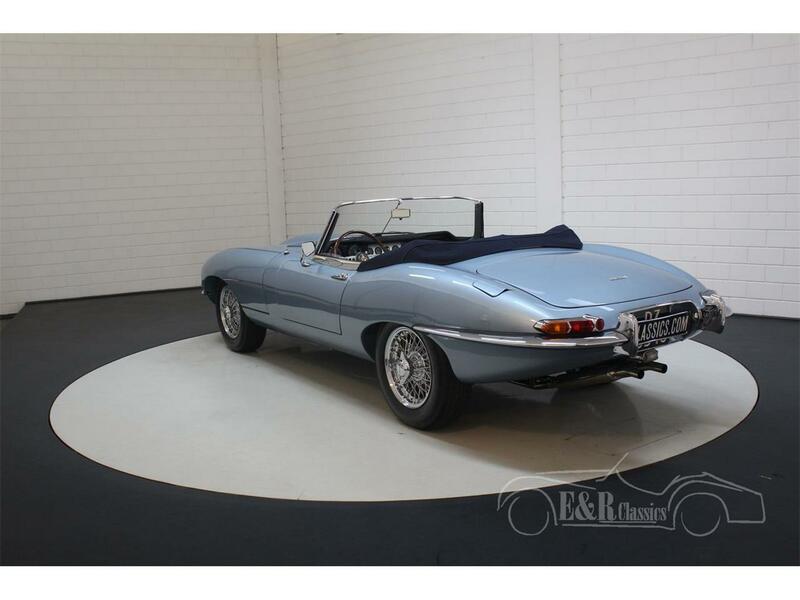 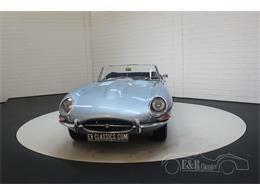 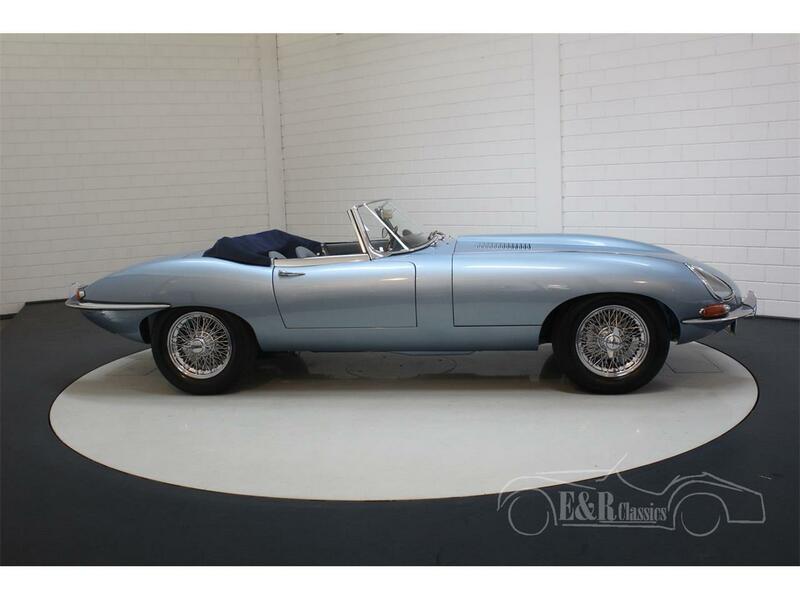 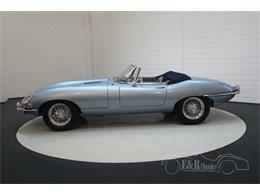 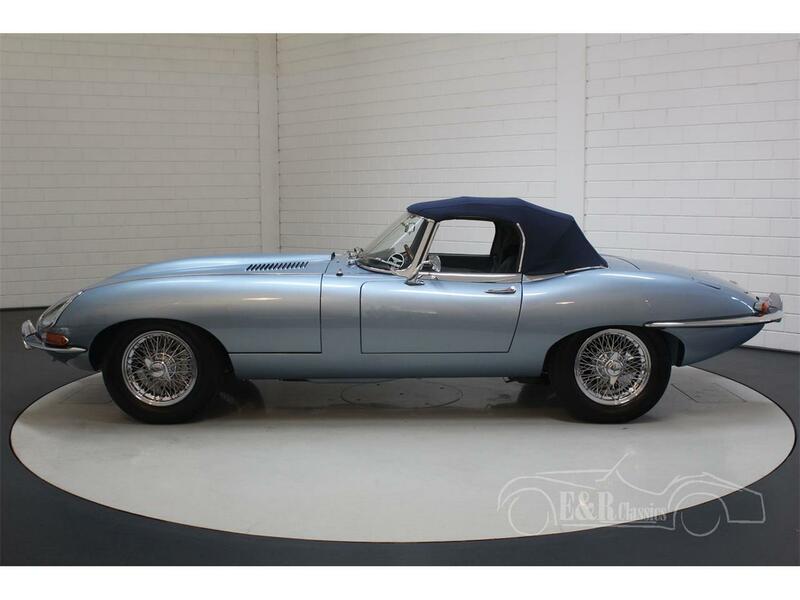 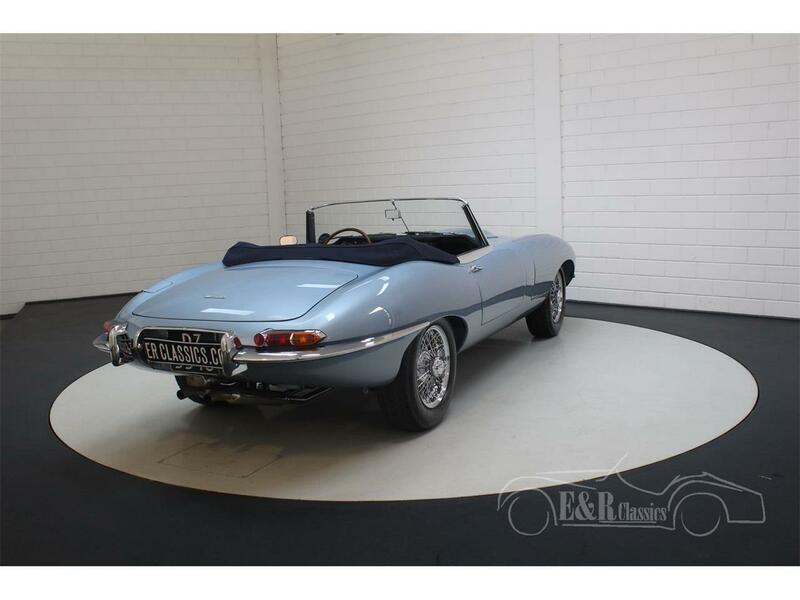 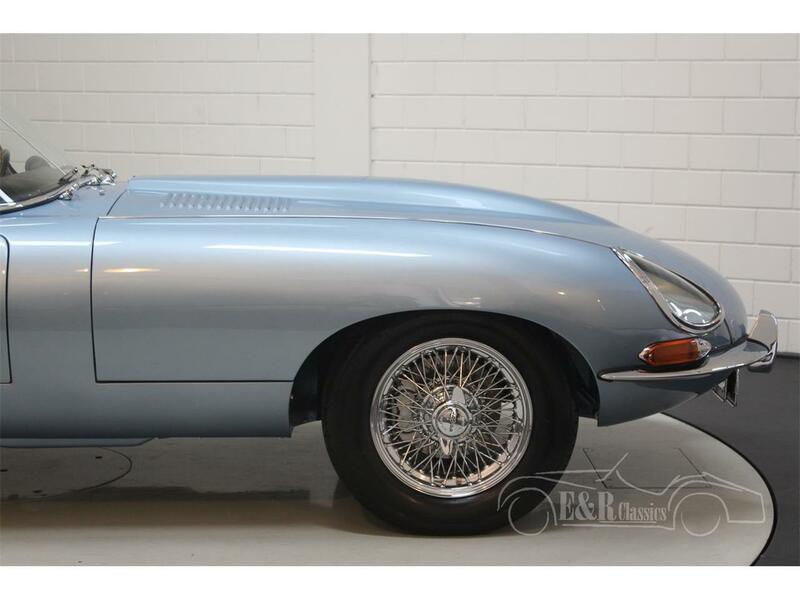 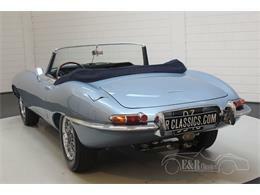 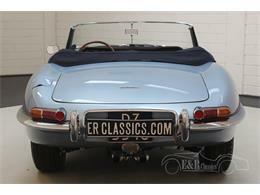 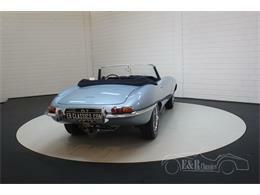 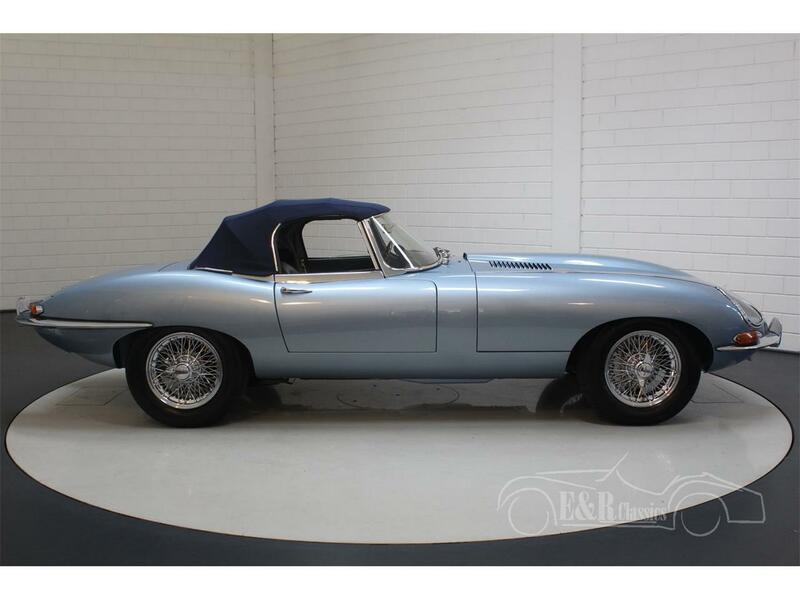 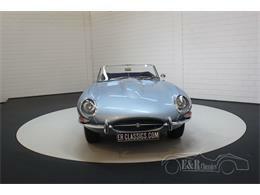 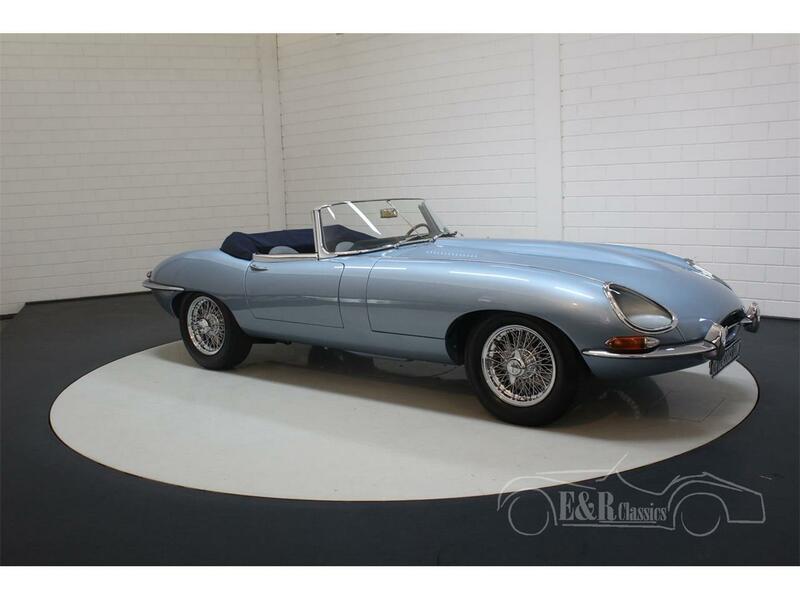 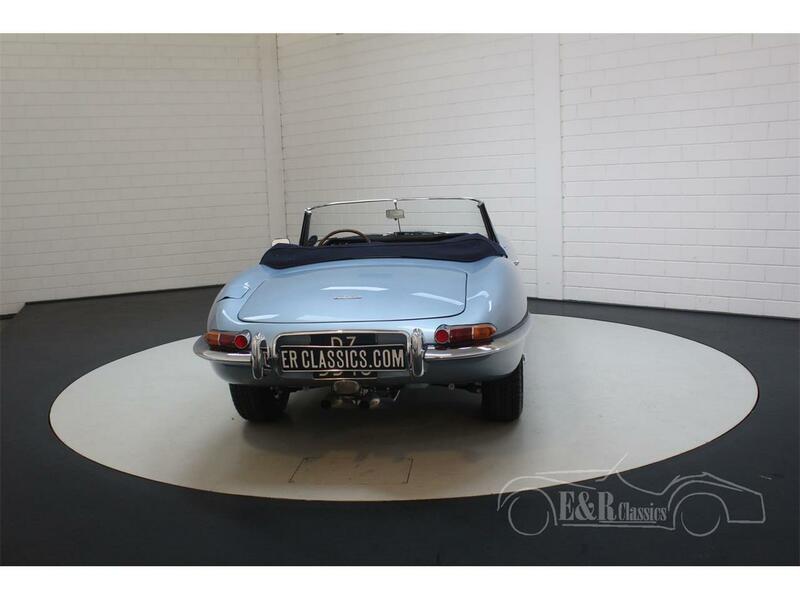 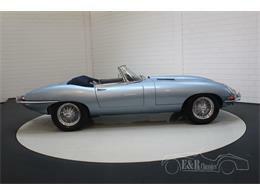 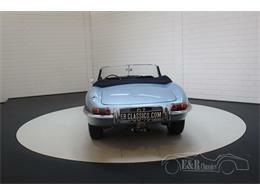 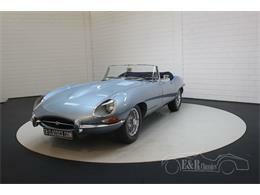 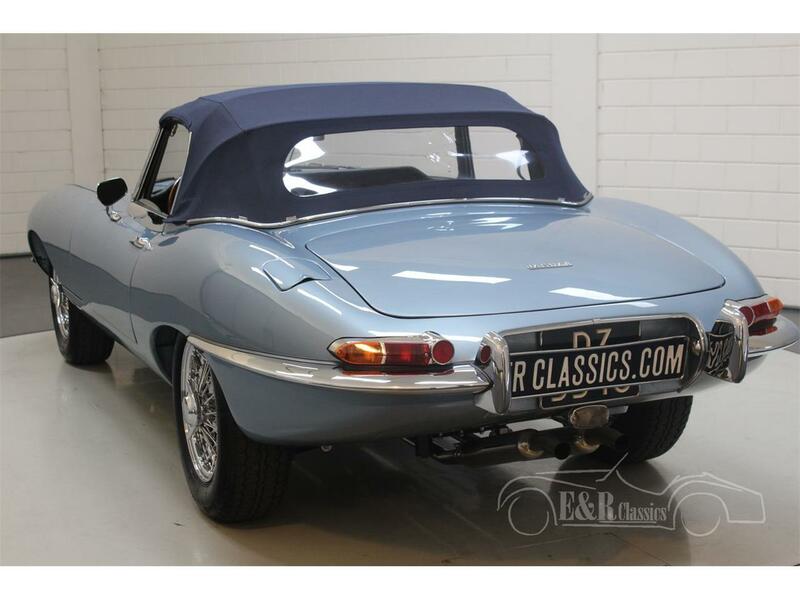 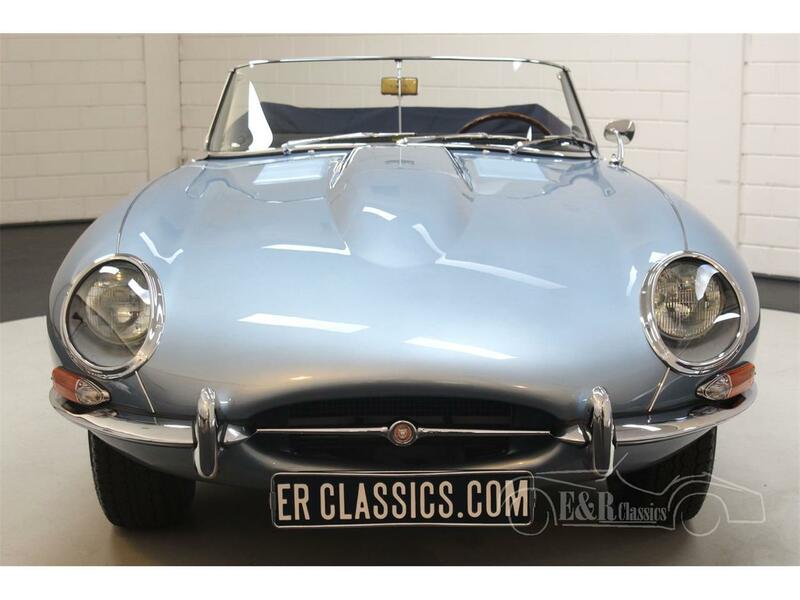 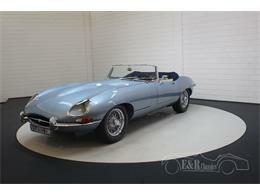 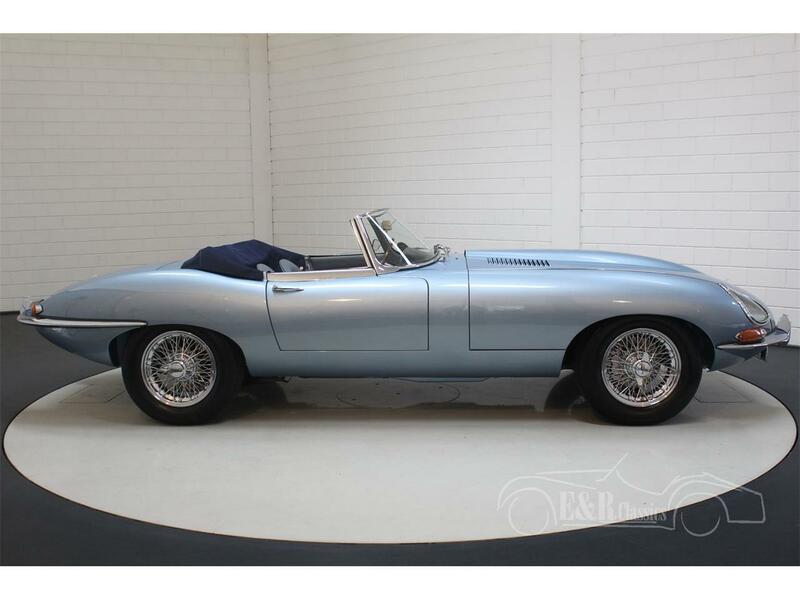 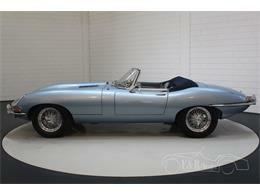 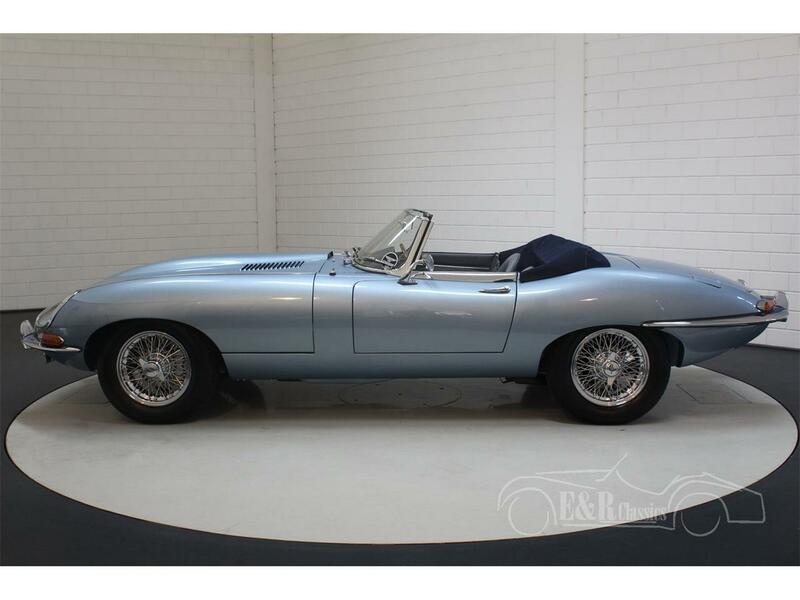 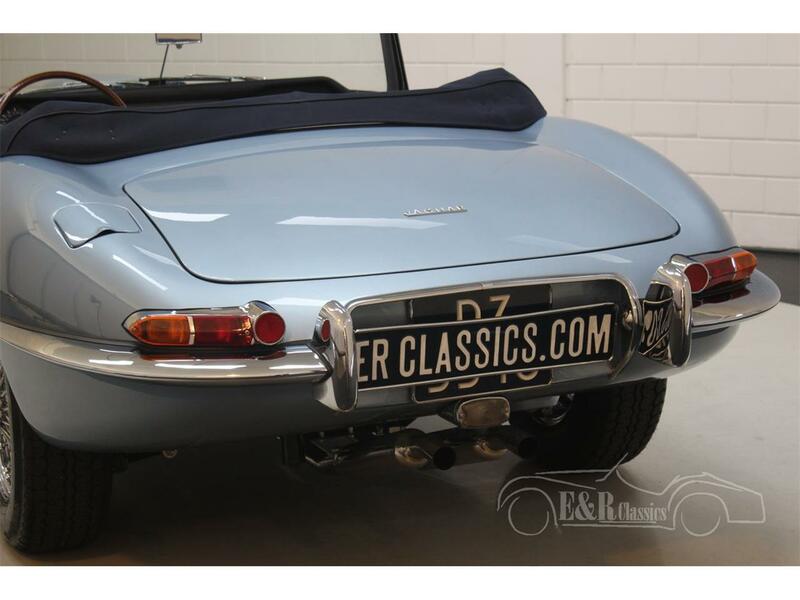 In short, a beautiful and originality restored Jaguar E-type Series 1 3.8 Cabriolet. 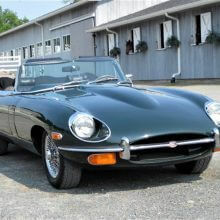 Our cars can be picked up from our New Jersey warehouse (Linden, NJ) from Monday till Saturday. Price for shipping a car from The Netherlands to our New Jersey warehouse is USD 1800. This price excludes 3% import duties and excludes shipping from NJ to your home address. 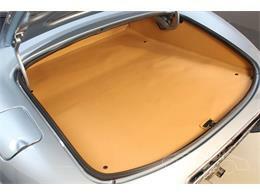 Our staff in New Jersey can quote you home delivery. 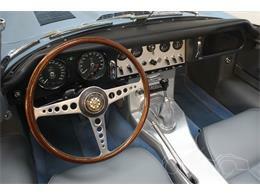 Mileage is read from the odometer, can not be proven unless stated otherwise. 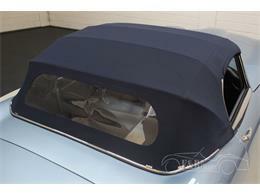 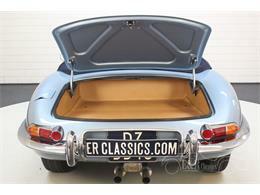 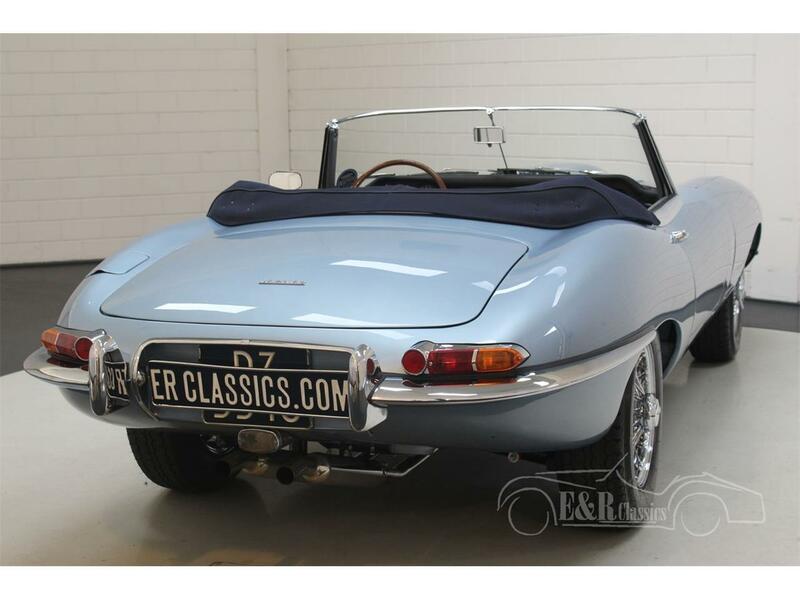 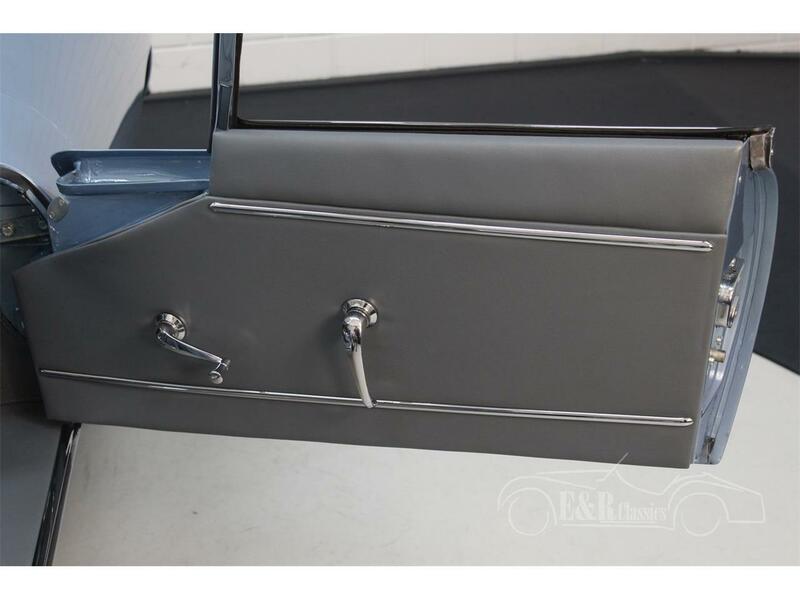 Buy your classic car safe and secure from the biggest classic car dealer in Europe. 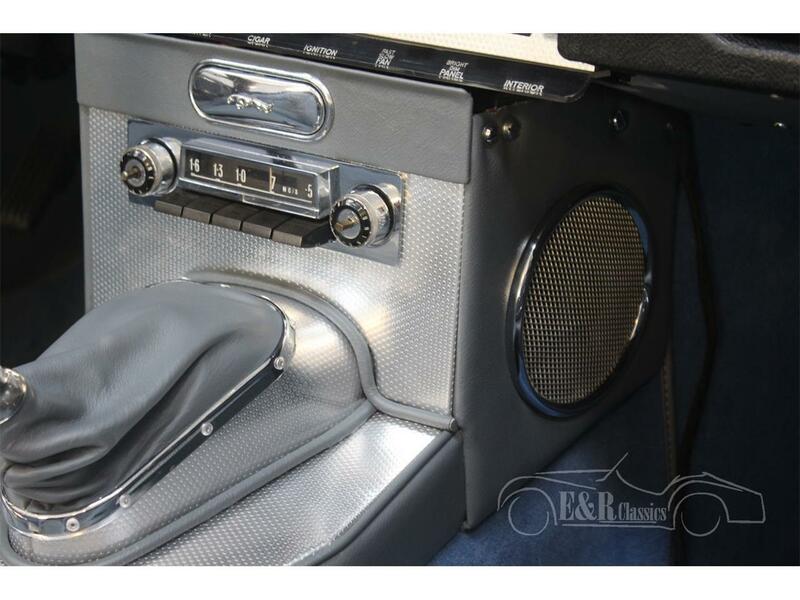 We have shipped thousands of classic cars from/to buyers and sellers in the USA and worldwide. 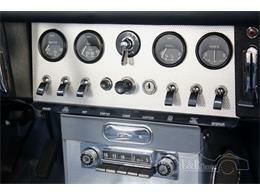 All cars are priced in USD. 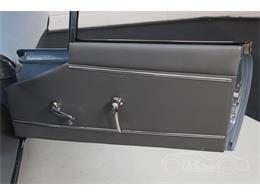 You can pay on our US bank account so no exchange rate issues for you. 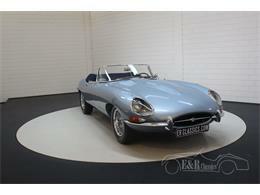 Always 250 classic cars in our showroom in the Netherlands! 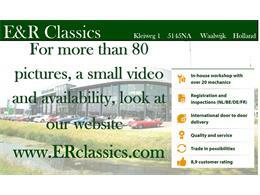 Showroom open Monday till Saturday 09.00-17.00hrs. Every first sunday of the month open from 12.00-16.00hrs. 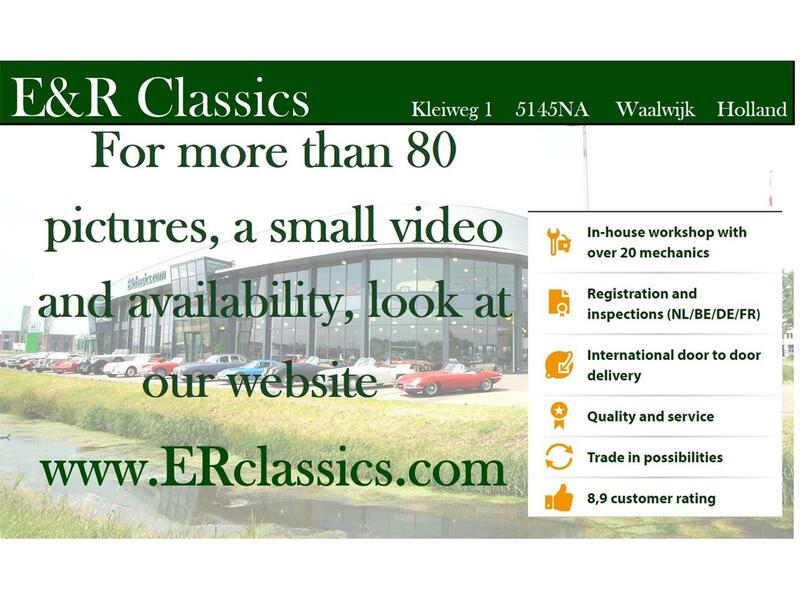 All cars we advertise are in our showroom in the Netherlands. 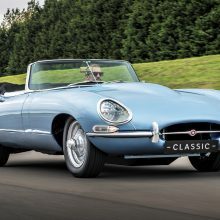 No liability for price changes and errors. 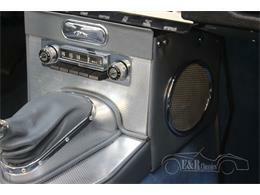 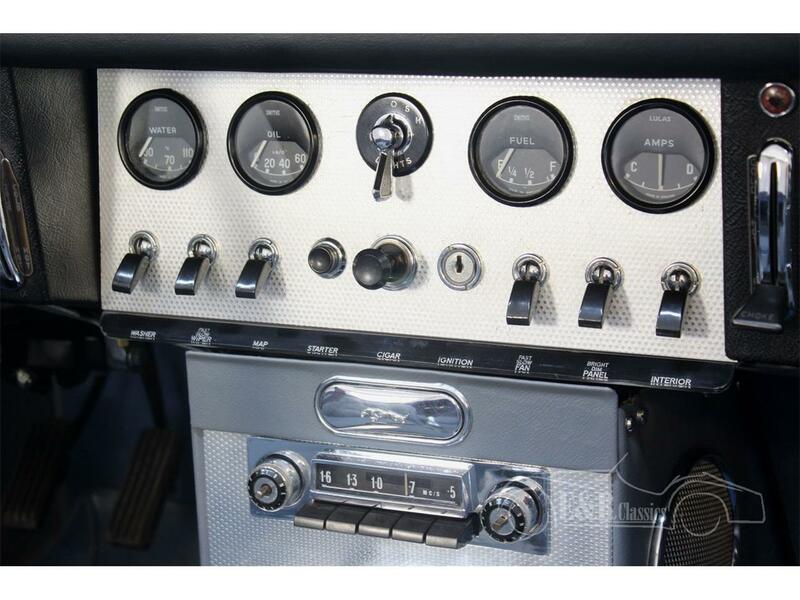 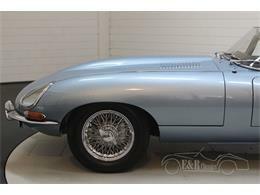 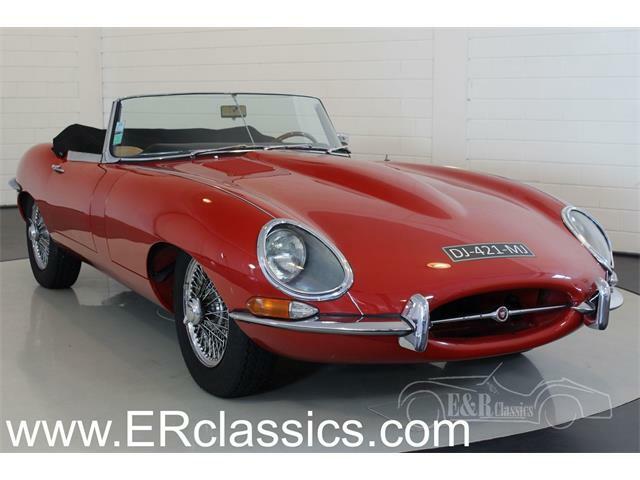 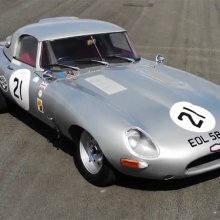 Hi, I'm interested in your 1962 Jaguar E-Type listed for sale on ClassicCars.com for $213,800.00. 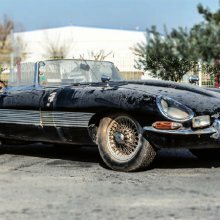 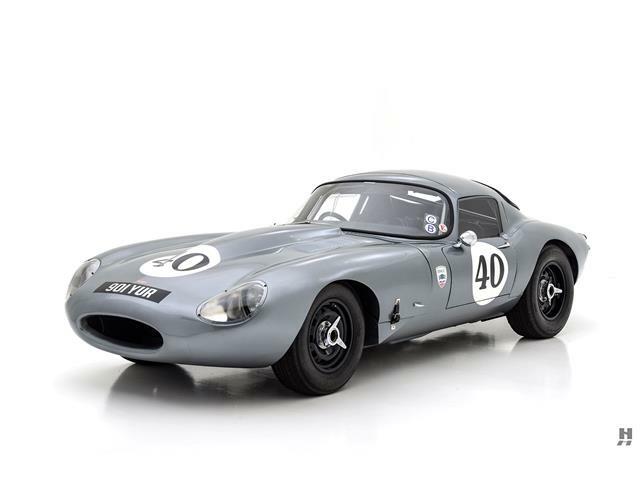 It was driven by a legend, but could this E-Type actually be a steal? 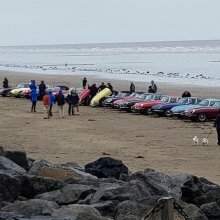 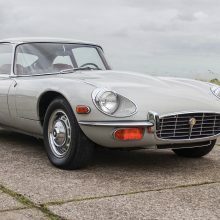 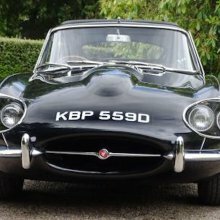 A one-owner 1969 Jaguar E-type 4.2 2+2 driven only 1,733 miles since purchase is headed to auction, and H&H Classics thinks it could be the lowest mileage E-type in the world.